Buying a car takes patience, research and a little help along the way! 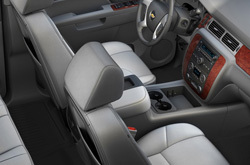 That's why Midway Chevrolet provides a review of the 2013 Silverado. Midway Chevrolet stands out from the rest of the pack with products and services built to assist you in your search.These well-written reviews will help you do just that. Loaded with accessible specs and information, each paragraph gives you complete access to all the Chevrolet Silverado has to offer. What are you waiting for? Watch the video below or start reading the 2013 Silverado review below! By examining the 2013 Chevrolet Silverado side-by-side with the 2013 Ford F-150, Dodge Ram, Toyota Tacoma and the GMC Sierra 1500, and you can catch that the Silverado wins over those autos in various zones. See the hightlights below. Take a peek inside the 2013 Silverado - view video now! Our Chevrolet dealership in Phoenix is positioned near many abutting cities! So, you're a brisk jaunt away from having authentic OEM parts and work from Chevrolet technicians! We also provide a extensive warranty on repairs! 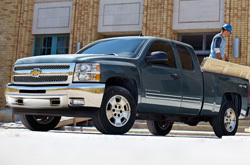 The competent technicians at our Chevrolet repair shop in Phoenix will help your Silverado run well. Whether you need us to undertake a effortless job as an oil change, or take on complex Chevrolet service and repairs like transmission rebuilds, strut and shock repairs, timing belt replacements. Make a positive choice when picking a worthy establishment to have your Chevrolet Silverado repaired, and consider this: At Midway Chevrolet you can anticipate receiving personalized service and nominal prices on Phoenix car repair. The following link is your key to outstanding savings. Click now to be lead to to Midway Chevrolet's specials.